Tissot has developed a state-of-the-art Basketball shot clock to be used at every NBA game next season. 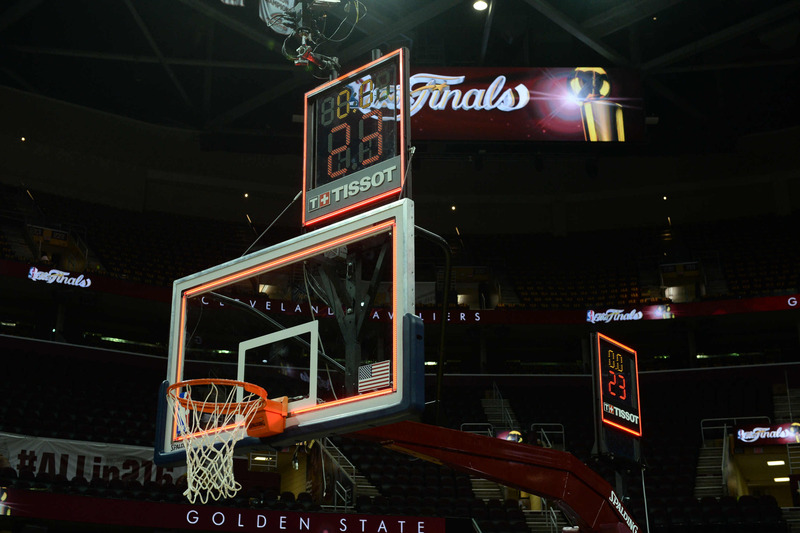 The transparent glass LED shot clock and integrated timing system will be installed in each of the 29 basketball arenas used during the 2016/17 NBA season. The system debuted at the Samsung NBA Summer League which started on Friday and marks the first time that a single system will be used across all NBA arenas and the first time a system has incorporated the game’s 24-second, timeout and game clocks in one piece of hardware. The transition between numbers are instantaneous, even to high-speed television cameras, making referees’ decisions easier to call.